The simplest style of hitch, with all of the trailer’s tongue weight bearing on the hitch at the rear of the towing vehicle. This is suitable for towing trailers with relatively light hitch weights, typically under 300 pounds. Folding tent trailers commonly use this method. This method is used for conventional travel trailers to help compensate for the hitch weight at the very rear of the vehicle. Torsion bars are used to redistribute a portion of the hitch weight toward the front of the tow vehicle allowing better braking and steering control while towing. We offer and highly reccomend one specific type that includes 4 point sway control, unlike the more common chain type snap up systems: www.equalizerhitch.com This affordable system is fine tuned for each specific RV and tow vehicle to our satisfaction and includes a “money back” guarantee. Fifth wheel style trailers use a special removeable hitch that is mounted in the bed of a pickup directly above the rear axle. This allows for even higher hitch weights to be carried, which is why many of the largest trailers are only offered in this style. We have several solutions for short bed trucks and our master technician will be happy to fully explain them. A trailer brake controller is installed in the towing vehicle to activate the electric brake systems used by travel trailers and fifth wheels. We offer and install the advanced inertia based “plug and play” systems from Tekonsha. It will also allow manual braking of the trailer if desired. 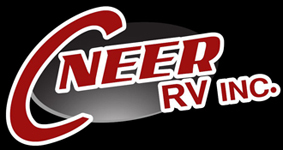 Our staff will help you get the most out of your RV experience by helping you choose the right hitch and brake systems based on your tow vehicle, trailer size and weight, and your individual style. You’ll be safely on the road in no time with no worries, ready to enjoy the great outdoors!